Many organizations - including WordPress and us - have updated privacy policies to comply with General Data Protection Regulation (GDPR). 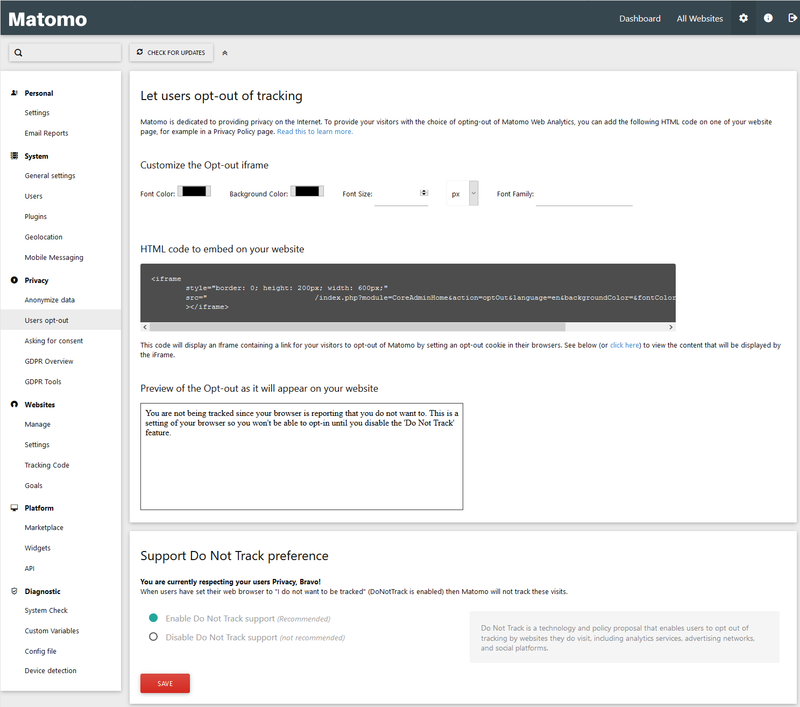 As Matomo has many features to assist with GDPR compliance and anonymize tracked data, we cover how to set Matomo to display an opt-out notification verifying the user's activity isn't being tracked with Do Not Track enabled. Select Users Opt-out on the left. Paste the HTML code into your website using a file editor or your website backend. The footer section is an optimal location. You can disable Do Not Track support at the bottom as well.